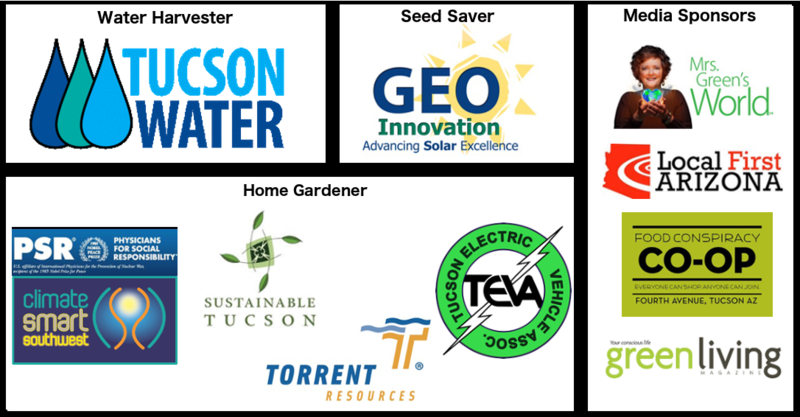 Your Media Sponsorship of the 2017 Envision Tucson Sustainable Festival helps provide important promotional support for this annual event, which brings our community together around a common vision of a sustainable future. Media Sponsor will promote Festival extensively in print or in audio/visual outlets, and in related digital (web) and social media outlets, including print and online calendars, during the two months preceding the festival. Banner graphic, Festival logo, and details of Festival highlights (with regular updates) will be provided for use by Media Sponsor.